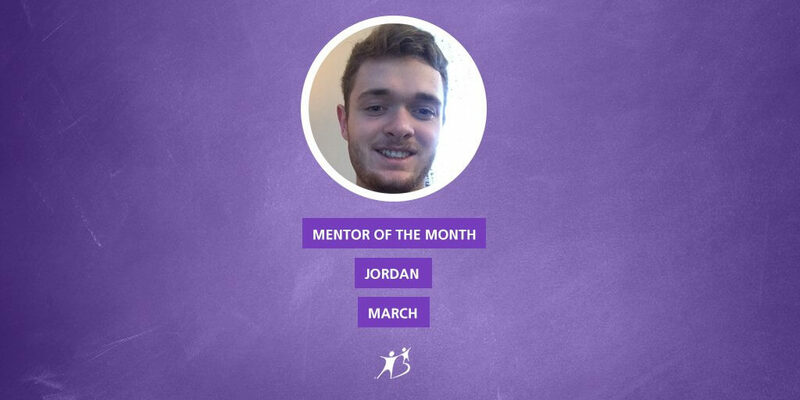 Jordan is our March Mentor of the Month and we’re so glad to have him be a part of our In-School Mentoring program. Jordan is a second-year student at Conestoga College, and like so many of our incredible volunteers, comes from the Police Foundations program. Big Brothers Big Sisters of Waterloo Region is incredibly grateful for the support that we receive from this program, as it brings us amazing volunteers like Jordan. His goal is to make a positive difference in people’s lives by becoming a police officer with the O.P.P. In the short time that Jordan has been with us, we can truly say that he is already making a difference in people’s lives. Jordan was moved to volunteer with Big Brothers Big Sisters as many of his classmates were Bigs. He saw the opportunity to positively affect the community, and more importantly, assist our youth. There are a plethora of reasons for being a Mentor with BBBS, but Jordan’s moved us. “I really do feel like I’m genuinely making a difference in a child’s life. Even a simple smile from my Little Brother can turn my whole day around. Even if I could get paid for this position I would turn down the money, as making a difference and helping him out is worth much, much more than that.” Jordan’s outlook is something that the community as a whole could benefit from. He makes us realize that we could all be a little bit more caring, and we could all do a little bit more to make sure the people in our lives smile! Mentoring is being able to make a connection with someone with absolutely no bias, and being able to see them with open eyes, while doing everything with their best interest in mind. It gives me an opportunity to share my experiences, to create new ones, and to understand a little bit more about the experiences of the younger generation. It allows me to get an outlook from other people’s perspectives, and only by being able to understand those, can you really help people; that’s what I want to do, help people. Mentoring really is an important aspect to my life, and I think it should be a much more popular thing, as being able to share these things is so beneficial in the long run. This answer helped us to understand Jordan’s perspective and outlook on supporting the community! We’re so grateful that Jordan is a Mentor with us, and we’re proud to call him our March Mentor of the Month. We know that he’ll make an incredible Police Officer, he’s already so great at making a positive difference.